The 17th-century manor at Heale sheltered Charles II in 1651. Surrounding the house are award-winning gardens that start the year off with fantastic displays of snowdrops and aconites; in June the roses come into their own. Other features include a Japanese tea house, water garden, and a walled kitchen garden. 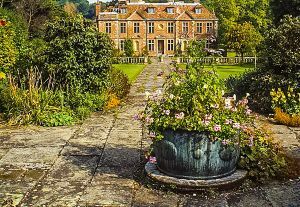 Heale House was built for Sir William Greene in the late 16th century. Greene gave the house to his daughter and son-in-law as a wedding gift in 1553. The house then passed to Lawrence Hyde who also gave it to his son as a wedding gift. In 1651 Charles II took shelter at Heale for 6 nights after his defeat at the Battle of Worcester. He stayed in secret while waiting for a ship to carry him to safety in France. The Bowles family then bought the property but were forced to sell in 1813 when William Bowles went bankrupt. A fire destroyed 2/3 of the house in 1835. Then in 1896 Heale was bought by Louis Greville, who rebuilt on the foundations of the earlier house. Greville was in the diplomatic service and acquired a bridge and authentic tea house on his travels to Japan. He brought these authentic items back to Heale to form the basis for a new Arts and Crafts style garden. The gardens were laid out in 1910 by Harold Peto (see Iford Manor Garden) as a blend of Tudor and Edwardian styles. There is a terrace bounded by clipped yew trees and Chilmark stone. Further from the house, the garden becomes less formal, with old roses, ponds and other water features, and a trail leading down to a landing stage on the River Avon. Heale is planted to provide colour throughout the year. The garden bursts into life in early Spring with snowdrops and aconites in a colourful blanket. One unusual feature are the apple tunnels in the vegetable garden, which act as a decorative division between garden beds but still supply the house with fruit. Streams filled with trout spill across the garden on their way to the River Avon. The streams flow beneath a Japanese tea house and a nearby Nikko bridge. There are meadows rich in Spring bulbs and magnolia blossoms. Colour-themed borders add interest through the summer and acers add rich colour in Autumn. Heale Garden won the prestigious HHA/Christie's Garden of the Year in 1984. It also featured in Gertrude Jekyll's influential book, Gardens for small country houses, published in 1914. 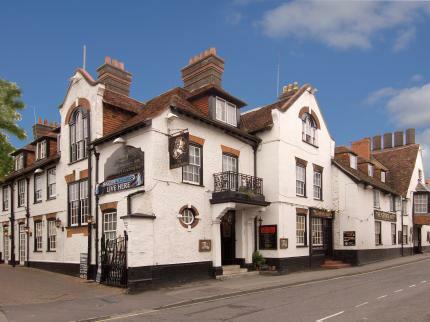 Location: 4 miles north of Salisbury, between the villages of Upper Woodford and Middle Woodford. NOTE: SatNav users take care - the official Post Code may direct you to the wrong side of the river! Use SP4 6NU for satnavs!